Tom's Place Resort is a rustic retreat located in Crowley Lake, CA. Tom's Place proclaims the following on its rustic website: "Welcome [to] Tom's Place! Take a step back in time. Visit our rustic cabins, cafe, bar and market. The surrounding scenery is spectacular, offering breath taking views of the Sierra Nevada's, running creeks, and beautiful Crowley Lake Tom's Place is a popular destination for fishermen, campers, skiers, and folks just passing through. Open year round, serving Breakfast, Lunch and Dinner.... it's a great vacation spot any time of the year!" 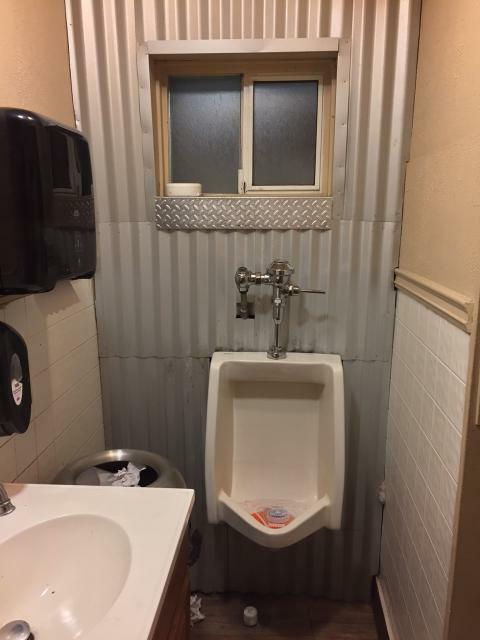 This photo was sent in by JT, who noted: " The diamond plate and corrugated aluminum made it a heavy metal experience."